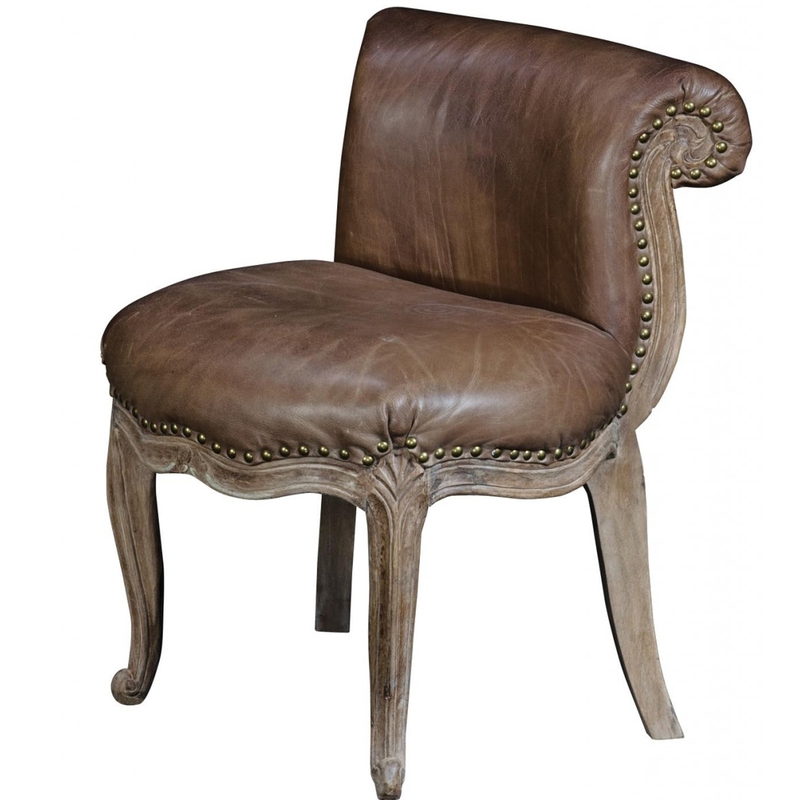 Update your interior and furniture with this gorgeous brown Antique French style chair. It includes antique brass studs , two hand turned legs at the back and 2 French cabriole legs at the front which have a fine oak-ish finish. The perfect addition to any home. The small dimensions in this chair make it suitable for bringing a touch of quality to even the smallest room.